Jan Mühlfeit is a global strategist, executive coach, and author of the bestselling business book, The Positive Leader (Pearson, Oct 2016, Jan Mühlfeit & Melina Costi). His personal mission is to help individuals, organizations, and countries around the world unlock their human potential. Jan has a proven track record in building and leading successful teams, acquired through his extensive 22-­year career at Microsoft Corporation where he served in various executive positions. His last role with the high-tech giant was as Chairman Europe (2007–2014). Harnessing his in-depth knowledge and expertise, Jan has created a set of unique seminars – “Unlock Human Potential” and “Unlock Your Team’s Potential.” In these seminars, he coaches individuals and teams on how to uncover personal strengths and find the best in the people. His techniques are valuable in driving business growth, showing organizations how to create synergy in teams, inspiring people through positive leadership, and delivering optimal performance through FLOW. Jan teaches his courses on a worldwide scale and has worked with many prominent S&P 500 companies. Among his key clients are Exxon Mobile, GE, Dentons, Microsoft, Generali, UniCredit, Siemens, Bosch, Société General, Skoda, Skanska, and many others. His methodology, which is rooted in positive psychology, is based not only on his own career journey, but also on the collective insights of many top individuals in the world of business, politics, entertainment and sports. Together with Katerina Novotna, Jan has created a special seminar for children and parents – “Unlock Your Child’s Potential” – which guides children on how to be more self-aware and find their personal uniqueness. He beleives every child is a genius, we just need to find in what. Jan coaches high-level executives, Olympic games winners, and artists from different countries and continents, and he works closely in the coaching and mentoring field with INSEAD, Cambridge, Imperial College, Gallup and the Institute of Coaching at McLean Hospital (a Harvard Medical School affiliate). Jan is a well-regarded global speaker at WEF, Harvard, MIT, INSEAD, Cambridge, Imperial College, Washington Post, and Economist events. As an established leadership and personal development specialist, he has been interviewed by CNN, CNBC, Bloomberg, Financial Times, The New York Times and The Wall Street Journal. 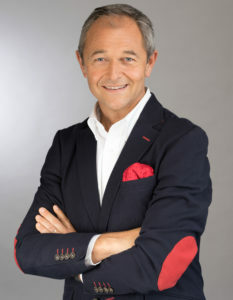 From 2008–2010, Jan was moderator of CT24 morning talk show Rendez-vous and recently hosted the Czech TV show Hidden Potential. He also has his own talk show called Premier League Thinking, broadcast on Czech station Radio ZET. Jan is a Senior Strategic Advisor for Atlantic Bridge Capital and serves on different advisory boards of several European governments in the fields of ICT, national competitiveness, and education. He also counsels on various projects for the WEF, OECD and EC. Jan joined Microsoft in 1993. After only one year at the company, he received the President’s Award for Excellence in 1994. Jan was named Regional Director of Microsoft Central and Eastern Europe (CEE) in 2000 and was promoted to Vice President in 2002. Under his leadership, CEE became the company’s best performing region worldwide for four consecutive years. In 2004, he also became a co-architect of Microsoft’s global emerging markets strategy and a member of the Microsoft executive board for emerging markets. Following these achievements, Jan assumed the role of Vice President of Microsoft’s Public Sector team in Europe, Middle East and Africa (EMEA) in 2005. He was named Vice President, EMEA Corporate & Government Strategy in 2006 and was subsequently promoted to Chairman Europe, Microsoft Corporation in 2007. Here he played a crucial role in normalizing Microsoft’s relationship with EU institutions. Jan left Microsoft at the end of 2014. Click here to register for the 2019 Positive Business Conference. See the detailed 2019 conference schedule here.